Welcome to the GT Studios Monthly Snapshot. A chance to keep all of our wonderful GT Studios People – clients, models, collaborators, and friends up to date with the latest news and happenings. I started my last snapshot by saying that Spring had finally arrived – well I have decided that we no longer have the perfect season but four seasons in a week and sometimes in a day – as I write this (on the 21st of November – only 9 days out from Summer) I am listening to pouring rain and howling winds. The great thing about that is no matter what the weather we don’t let it stop us giving you the best photo experience possible! I no longer look at the forecast but adapt to the conditions on the day – we often end up with the most amazing variety of photos – my new moto I think will be – go with the flow! Each month this year we have held a Face of the Month Competition but for October our focus was entirely given to our Fundraising effort for the Ovarian Cancer Research Foundation. Instead of having one person feature predominantly we followed the Frocktober themes. More on this later…..
Our clients have been busy getting themselves seen in more places than our web page, Facebook and Instagram accounts! We have had our photos featured in Madison Fashion Magazine November Top 25, The Face Issue Volume 1 and Volume 2. Congratulations to Zoe for making Top 25, congratulations to Alexia, Mackenzie, Makenzie, Jemma and Zoe for featuring in the Face Issue. Once again we were spotted by Faces Magazine, this time with Hannah’s photo being featured on the European (Swiss) Fashion Magazines Web site! We are very excited and grateful to Faces Magazine FacesBeauty for the feature. Congratulations Hannah! You can vote for Hannah here but hurry – only until November 23rd. I would like to congratulate both of these amazing Ambassadors who have now signed with Finesse Model Agency. We are so proud of them and wish them well in their modelling career. 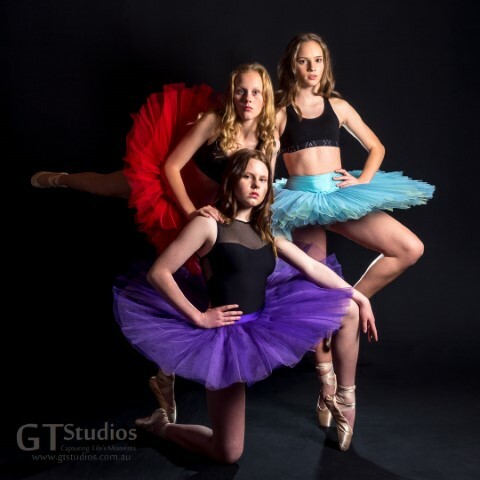 We like to see our clients and ambassadors as part of the GT Studios Family so to have watched the confidence and skills of these girls grow so fast through this year has been such a treat. Well done girls! All of our Ambassadors have done so well this year. The Ambassador programme has been so much more then we hoped for! By mid-September our Frocktober preparations were in full swing. One of the first people I asked to be involved was the lovely Emma Schulz from Elouise Designs. 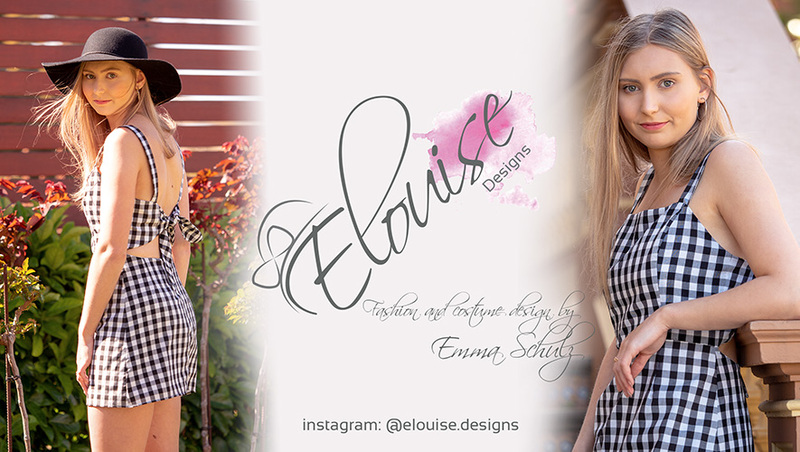 A first year Fashion Design Student at Adelaide Uni, I first discovered Emma on Instagram. Something about the way she designed, wrote about her work and studies peaked my interest and I knew she was the designer I wanted to highlight on our Fundraising journey. So, one evening, while waiting for Graham’s flight to land from an interstate business trip I decided it was now or never……. The rest is history as they say! Emma is a delightful young girl with a bright future – she has a young, fresh, range of clothes which was exactly what I was hoping for. She also hopes to do costume design and I hope we have an ongoing relationship between her amazing couture skills, Graham’s photography and my creativity we might be able to give you some amazing fantasy experiences next year! We arranged a meeting to see Emma’s range and we did a photo shoot with Emma which was fantastic! Unfortunately we found out that Emma could not be at our Fundraiser Event as it was her sister’s wedding day!!!! I understood if Emma wanted to pull out but she continued to support us and the Ovarian Cancer Research Foundation throughout October with posts on her Instagram too! We also had an awesome Ambassador day where the girls (and their parents) put in an afternoon of planning at our place and then lots more of their own time to help prepare for the day. With posters up, venues booked, it was down to the runway, music and dance prep – the girls loved choosing dresses to wear and as well as wearing the range from Elousie Designs we were very grateful for the generous donation from Rasheedah at Chicque Boutique who loaned us a huge range of clothes to wear on the day! A dress fitting there and a dress rehearsal and we were just about ready. We opened the runway event to past clients and the general public and we were so happy to see some of our previous girls return for a fun day that raised money for such a great cause. I think we saw some models in the making too!!! A massive thank you to Melissa Sandercock who gave a very educational talk about the signs and risks related to Ovarian Cancer – Melissa was able to dispel some common myths and reinforce some truths. Lots of positive feedback so if only one person seeks medical advice early enough then it was a worthwhile venture! I have so many people to thank, the Gawler Uniting Church gave us the Hall Hire at an amazing rate – everyone who donated to the prizes, Hissey Electrical, Silhouette Hair and Beauty, Brereton Jewellers, Tanunda Hair and Beauty, Gawler Academy of Dance for their dancers, many private donations too – both in donating money, items and volunteering their time – thank you thank you thank you! Our wonderful Ambassadors and their families gave so much time and money to this event – so grateful! Clients, friends and family – thank you! We raised $1635 – a lot of hard work from a lot of people – thank you to everyone who donated on the day and on our My Cause page. The person with the largest donation on our My Cause page won a free photo experience and they will be contacted shortly!!! For a look at the Frocktober Fashions you can check out our Instagram feed – we continued the theme at our Runway event too. A serious cause but lots of fun! If you would like more information about any of the information in today’s snapshot please contact me. We also have some gorgeous new products available for a limited time – Christmas printing deadlines are approaching rapidly so please don’t leave it to the last moment! Keep an eye out for our next Snapshot in the next few days!!!!! This entry was posted in Cancer Prevention, Capturing Life's Moments, Charity, Competition, consultation, Dont leave it too late, Dress, Every Moment Counts, Face of the Month, Fundraising, Girls, National Publication, National Publications, New products, Pre-book your Session Now!, Uncategorized and tagged Adelaide, Beautiful, Brereton Jewellers, Capture Life's Moments, chicque boutique, elouise designs, frocktober, girl, girls, GT Studios, GTStudios, gtstudios.com.au, Hissey electriacal, model, ovarian cancer research foundation, photo experience, photo session, photo shoot, represented, signed, silhouette hair and beauty, tanunda hair and beauty, teen, tween on November 23, 2018 by Karen. This month has seen Spring finally arrive – not a minute too soon as far as I am concerned. That doesn’t mean we have had perfect weather for every photo experience but we have at least seen more sunshine! Even if the wind has been a little challenging for hats and flower crowns!!! Face of August – with last month’s Snapshot giving you an insight in to what makes us click we didn’t really highlight our activities for August so I would love to take a moment to acknowledge the amazing efforts that our Faces of August went to. Yes – we had two girls qualify for the Face of August – the hardest part of my job is choosing a winner. We don’t randomly pick our winners. We take time to look at their profile – we pay attention to the way they interact with our social media pages and the way they apply to the competition. You don’t just like, share and tag – that’s not what the real world is really like. We treat it as a job interview!!! Our two winners were an excellent choice and went above and beyond – Ebony chose the fashion of the 80’s and 90’s as her theme and she channeled the Spice Girls in every outfit. 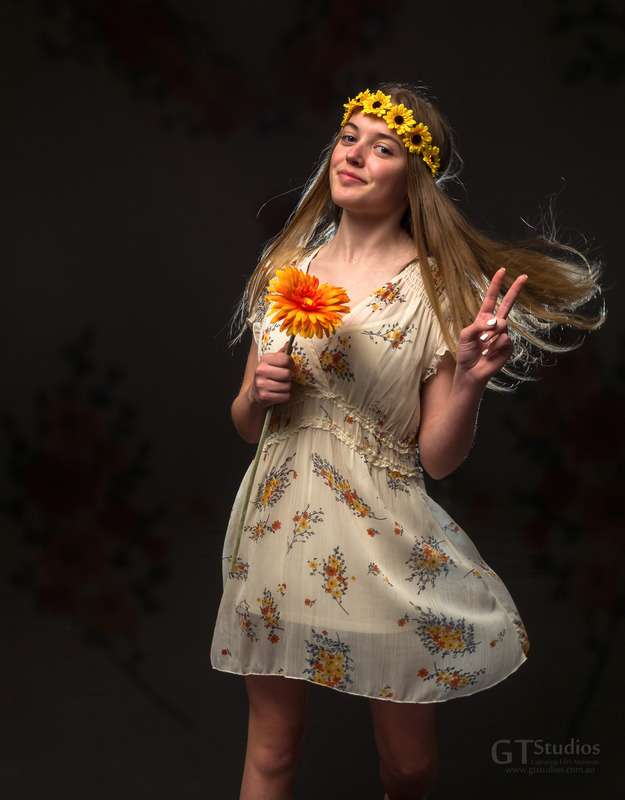 Savana chose the 70’s as her fashion era and we really saw an amazing progression through the decade – In the 1970’s Vogue proclaimed “There are no rules in the fashion game now” – so we had Savana dressed in boho, hippy, folk and mini skirts! 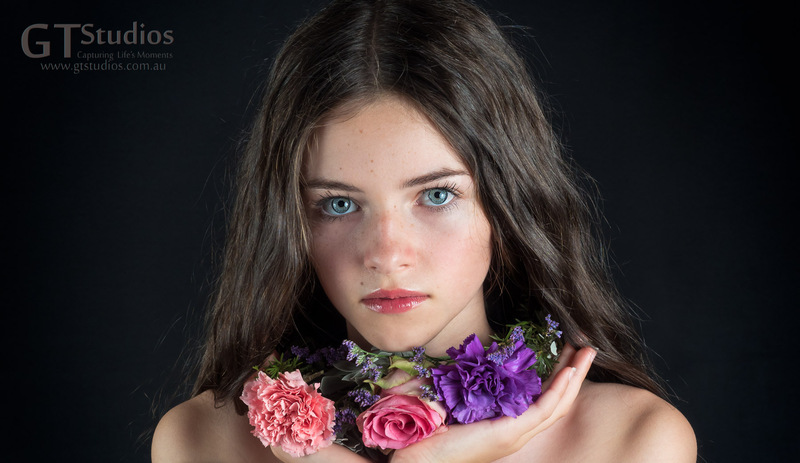 Face of August – Savana – Peace, love and flowers – what more do you need. Face of September – For September we had a simple theme of Spring but really wanted to try some different concepts. We once again had several applicants that fitted the role – it breaks my heart to say sorry to the girls that don’t win. However, I decided that Zoe was the person who had interacted sincerely with our brand for some time and I was convinced I had made the right choice as soon as she walked through the door! Published – Zoe is not the only one who has been popping up all over the place! We have had an extremely eventful few months in the magazine world. Starting with Issue 14 of Madison Fashion Magazine with 5 of our GT Studios Ambassadors appearing on the Front Cover as well as a gorgeous 10 page editorial! There were also some fun photos in there of 4 of the ambassadors holding their Issue 10 magazines that they were featured in. Our three girls from a recent dance session, Alex, Jordan and Riley were delighted to be featured in an eight page editorial in Issue 18 – White – of Madison Fashion Magazine. This is an Australian based magazine but accepting submissions worldwide so we were very happy with this result. Congratulations girls! It didn’t stop there – we were delighted to have a total of 20 photos featured in issue 18 of Madison Fashion Magazine – congratulations also go to Ellirah, Miki, Mackenzie and Emi. Special congratulations go to Hannah who was given a 5 page feature and announced as the model of the moment. 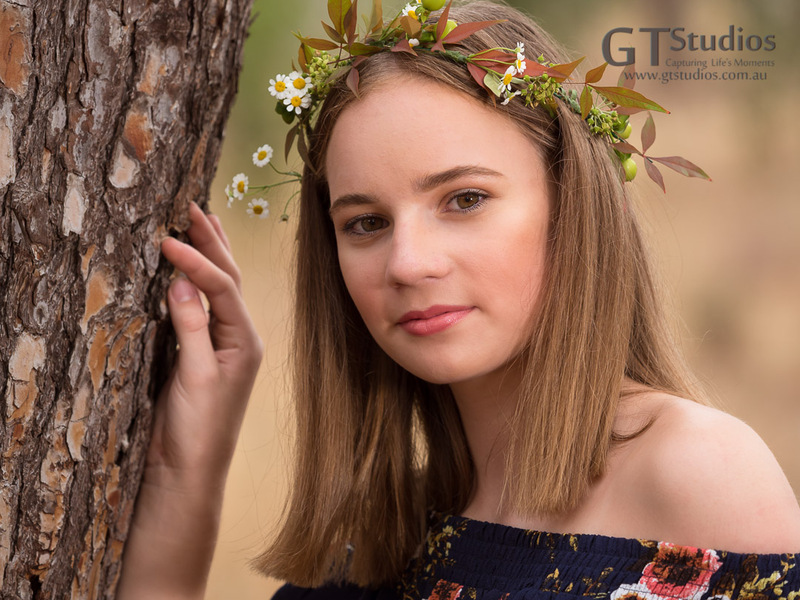 This was a great achievement and she was presented with a $200 gift voucher from Luv Ur Skin – a young Australian company specialising in Skincare products for tweens and teens – so perfect for GT Studios Photography!! Hannah was also featured in the Instagram story for Faces of our World. One of our younger clients Makenzie has also been featured on Diamonds Camera Video and Digital Instagram feed! Hannah – Model of the Moment – Issue 18 – White – Madison Fashion Magazine Take time to do the things that make your soul happy. It doesn’t end there! Jordan has had an AMAZING run of features and also had her dance photos published in two USA based magazines. An all dance issue of Brand Model Magazine and the very first issue of Dancing Life Magazine. Elle and her Brothers – we had the pleasure of catching up with one of our long distance Ambassadors back in July – it was lovely working with Ellirah Wormald again. This time we had the chance to work with her brothers Jake and Parker as well! It’s about a year ago that our paths crossed initially – first a portfolio shoot with Elle then at ASOTY 2017 (Australian Supermodel of the Year Auditions with Jake). SO much has happened with this amazing family. A sea change has seen them move from Gawler to Port Lincoln but thankfully we still get the chance to catch up and Elle is an awesome ambassador. 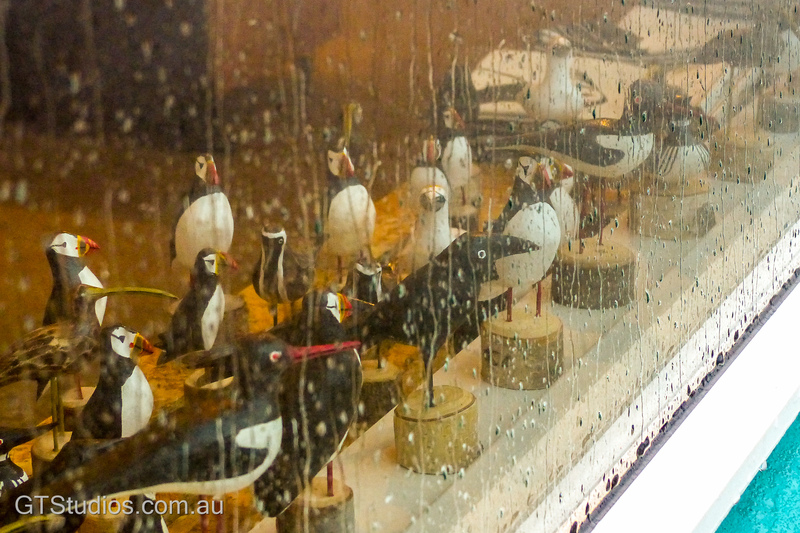 We have already featured some photos from the photo experience in July but we will be featuring more again soon. The shoot ranged from some traditional family shots to some nontraditional family shots. We loved pairing Elle and Parker together – a bond between twins – I think so!!! Parker has not yet jumped in to the world of modelling – I wonder what it will take to convince him he should? We entered in to the fantasy realm that day and Ellirah and Jake acted out an amazing story of Kingdom, preparation, loyalty, bravery and strength – I’m looking forward to sharing that editorial with you soon! 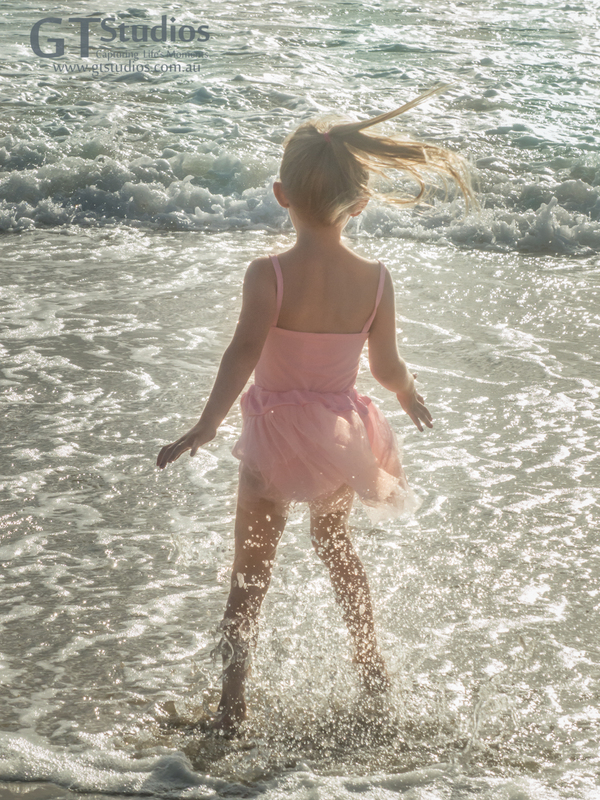 Then to finish the day we focused on Elle’s dance and ballet skills – what an amazing end to a perfect day. Fields of Canola – yes – it’s that time of year – I love the chance to get out to our beautiful country that we are so blessed to have – we have an amazing Farming Community and we were granted permission this year to photograph the gorgeous Jemma Linke in some amazing locations this month. Where do I start….. of course, canola fields of mellow shades of gold and vibrant shades of yellow, the yellow continued when Jemma took control of some of the farm machinery – we won’t mention the lack of control I showed at this point LOL!! We had smoke and flames, graffiti, trucks, fields of barley with a touch of Boho and then we had Jemma’s inner rock chick appear channeling some very cool 70’s vibes in an amazing ruin. We had an awesome day! 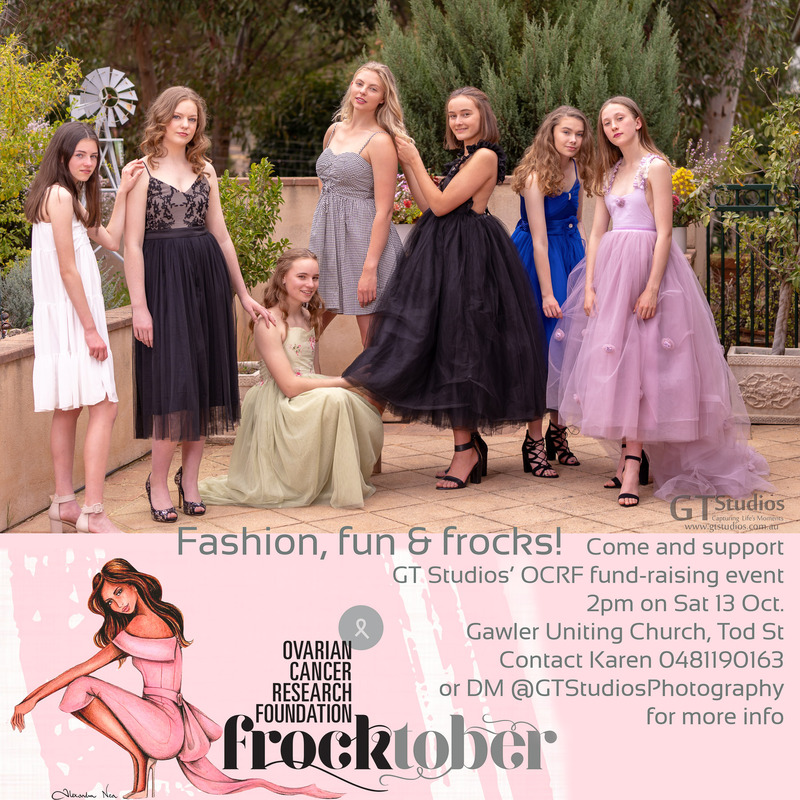 Preparation for Octobers Fundraiser – by mid September we found ourselves in full swing for #Frocktober 2018 so instead of cramming all the details here I will send another snapshot in the near future introducing you to the beautiful Emma Schulz from Elouise Designs as well as some of the other companies who have come on board and shown their support. If you want a sneak peek you can go here for details about the event or you can go here to donate directly to our campaign page. This entry was posted in Agriculture, Cancer Prevention, Capturing Life's Moments, Charity, Competition, Dance, Diamonds Camera Video and Digital, Face of August, Face of September, Face of the Month, fantasy, Farm, Floral Crown, Fundraising, Spring, Supermodel of the year and tagged 70's, 80's, 90's, Adelaide, Beautiful, boho, Capture Life's Moments, dance, editorial, Farm, floral crown, flower, flowers, girl, girls, GTStudios, gtstudios.com.au, modelof the moment, photo experience, photo session, photoshoot, published, rockchic, Spring, supermodel, teen, teenager, tween on September 25, 2018 by Karen. 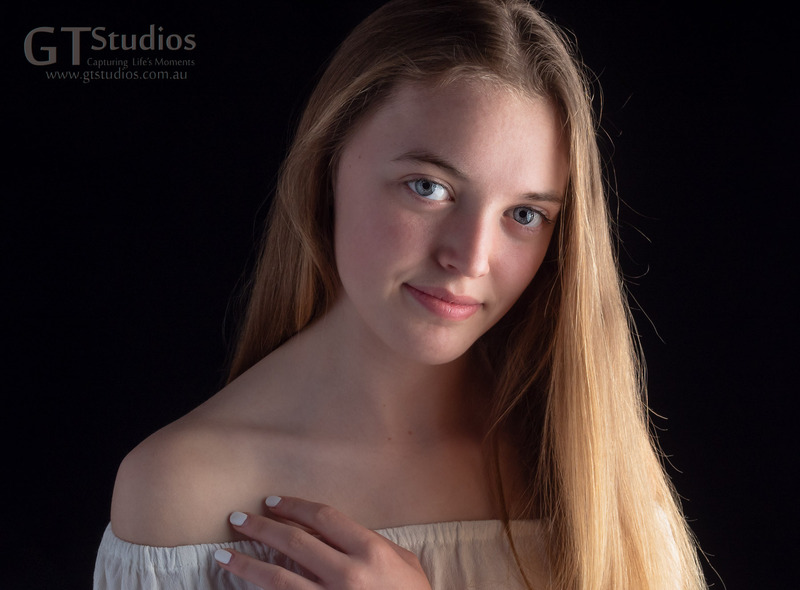 I did a google search today for Adelaide Photography Studio teen and tween (as you do!) – to my delight we were ranked second on the first page – I believe this is due to our hard work and dedication to our clients and the fabulous effort that our gorgeous Ambassadors and their parents do in return. We have built a caring community in an often harsh environment. We have come a long way in the last few years since we chose to make this our life! I have decided you need to know what really makes us tick so here are a few words from my heart – to yours – about why we do what we do….. Whether it’s in the studio, or on location, we take the same care to make sure that every detail is prepared. 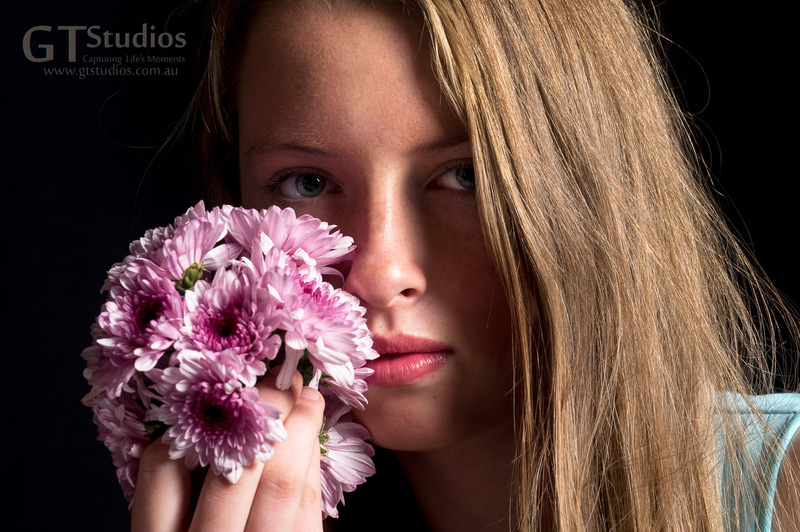 This teen photo experience had flowers arranged by GT Studio’s own flower arranger. Do you ever wonder why you get up in the morning? I’m sure we have all had days where we wondered what it would be like if we followed our dream instead of doing what we thought we were expected to do. Graham and I have always loved photography – over the years it has gone from being a hobby to a major interest to a passion and now a living. It was at the point that it became a passion that we knew we had some major decisions to make in our life. An obvious connection between our subject and photographer at this teen photo experience at GT Studios. We had been taking photographs for family and friends but circumstances were changing and we were starting to charge for our time. This was a huge step for us – filled with self-doubt we took that leap of faith and set up our business, GT Studios Photography was born. Well, we were not bowled over by customers rushing in however we worked hard to make a name for ourselves. 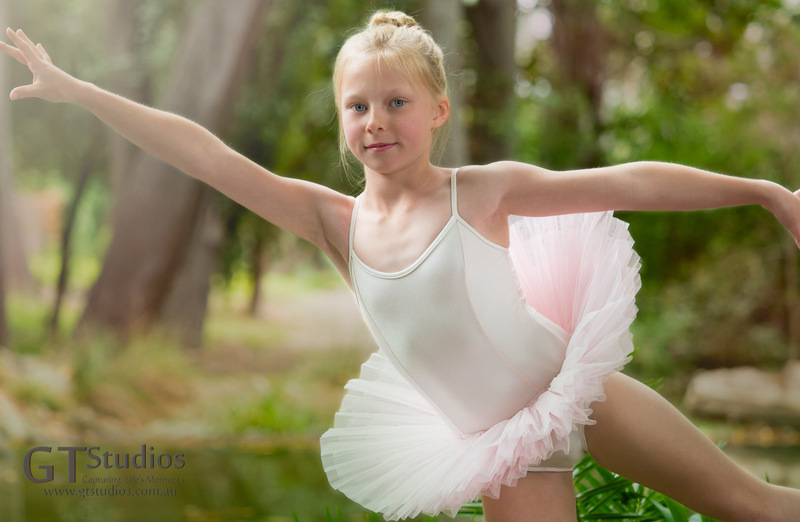 Dance is a favourite subject for GT Studios, and this little tween enjoyed her dance in the park. We didn’t want to be like every other photographer in the area – we wanted to offer something different. We started by providing a service for anybody who needed a photographer – any style, any genre – we would do it. We soon realised this was no more fulfilling than working in a job that you don’t have passion for. We needed to find the area that we loved to photograph. 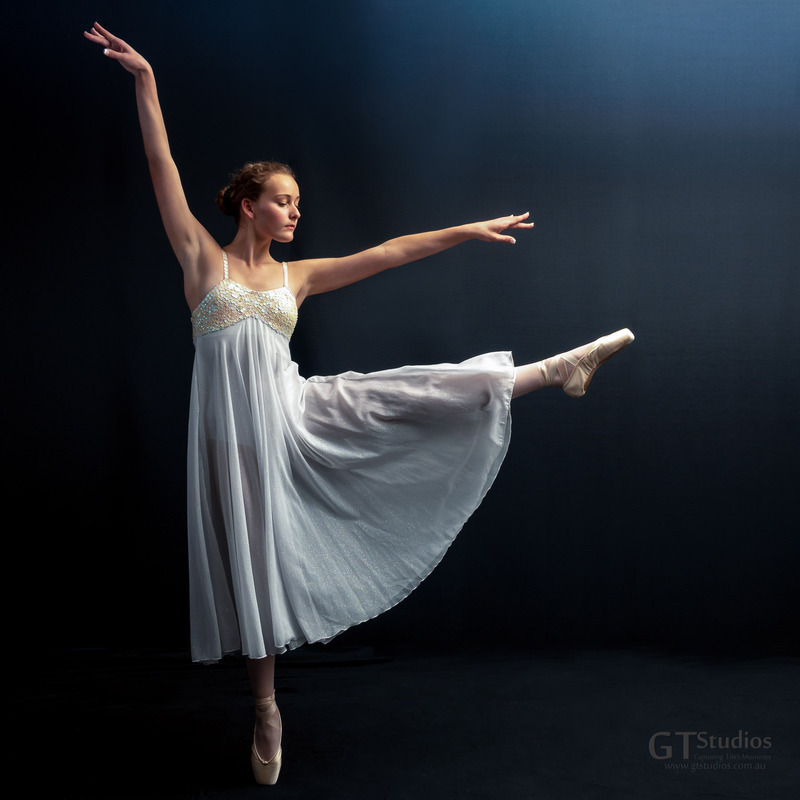 To celebrate a milestone in a teen or tween’s life, it’s a privilege for GT Studios to be a part of this unique experience – such as this ballet dancer’s graduation to pointe shoes. Over the years we have refined our skills and now we provide a very specific service for a small niche group. That epiphany came after a Family Photo Experience – it was an amazing day – a beautiful Mum, terrific Dad, the cutest little boy and the sweetest little girl. 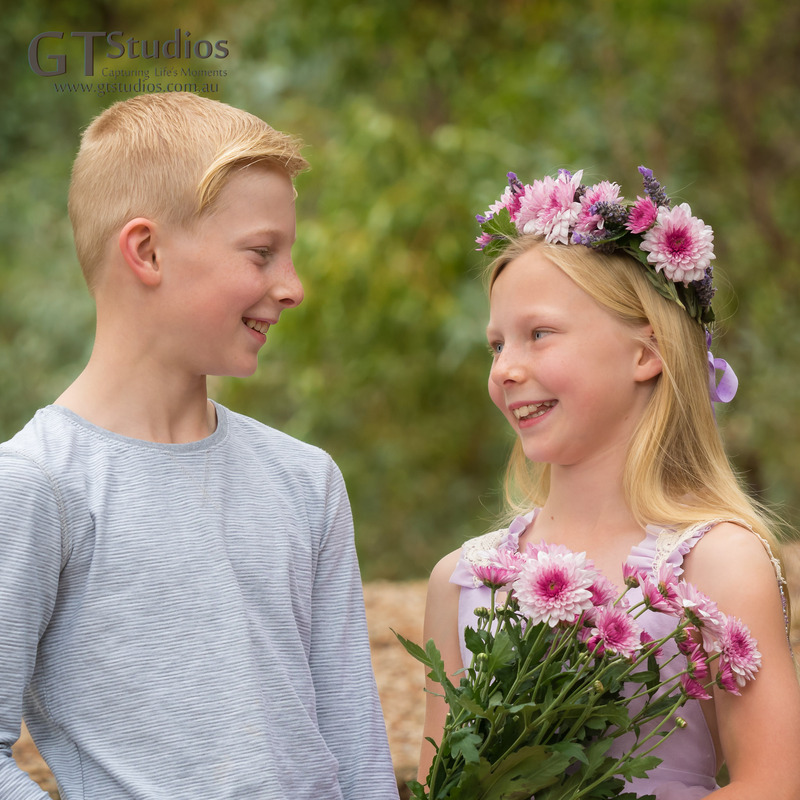 We offered to give the little girl a Princess Photo Experience after her Family Session. Dad and little brother went to the playground and it was then that the magic truly began for us. This little girl had been amazing during her family session but she was extraordinary as we totally dedicated our skill and attention to her. We saw a depth in her eyes, an understanding in her expression and a gratefulness in her heart. A depth in her eyes – an understanding in her expression – and a gratefulness in her heart. After the family left we were eager to review the images – hoping that the emotion we felt was not just the electricity in the room but it would translate through to the images and then on to the final prints. We were not disappointed. As we sat together, reviewing each image we were brought to tears – we had found our calling. We both knew at that moment that we were meant to do what we had done that afternoon! 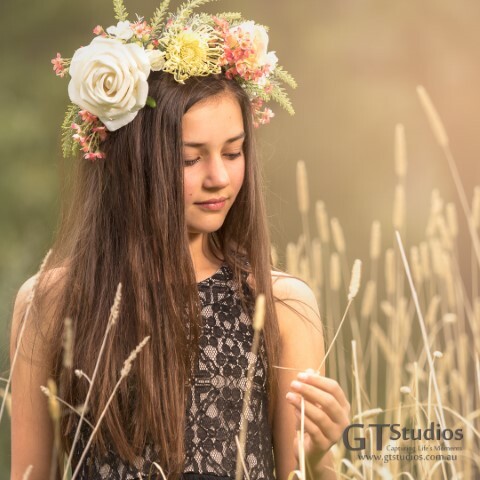 Over the last few years we have refined our craft and now offer many different photo experiences – we offer a pre-session consultation so that we can ensure each girl has a unique photo experience designed around her own personality. 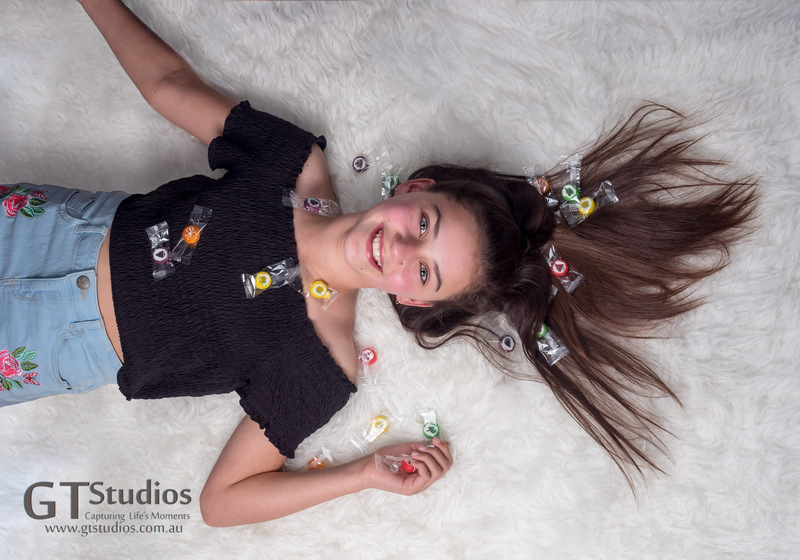 Yes – we do have a signature style and so many of our clients fit in to that category which we love but our goal is to find the true essence in the eyes of our girls as we photograph them so that moment can be cherished forever. Are we still brought to tears when we review our images at the end of a photo session? Oh yes – if we don’t feel a raw emotion at the end of the day then we are not doing our job. Every photo experience should be one full of emotion – we laugh, we have fun, we get the best out of our girls, we build them up, we encourage them, we build their self-confidence and self-esteem. They go home exhausted and we are exhausted but we can guarantee that they will have had a day that they will talk about for weeks and remember for years to come! We try to surround them with a world of positivity for the time they are with us – take them away from the stress of their studies, peers, work – whatever it might be that causes them discomfort. We take time to get to know our teens and tweens making sure they are relaxed and comfortable on the day of their photo shoot. If this means learning about how they make Slime then teach me! Within two weeks we will review the images and then select the top 100 to present at a review and select session. This time it is our girl and her family’s time to feel the raw emotion that comes from seeing images of a girl who became transformed in a way they didn’t think possible. As they sit in the darkened theatre and watch the slide show the room is filled with gasps of oohs and aahhs – and some laughs too – we keep it real! By this stage we have had at least two face to face meetings and several more phone, emails, PM’s or DM’s so we know what sort of image to present! We feel that we begin as strangers but over the journey we become more like friends. It’s important to build a trust with your photographer. If it’s done properly – this should be someone you come back to for all those important milestones in life! 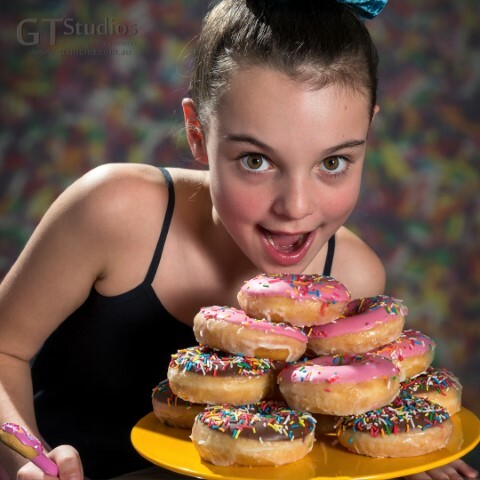 Has this tween had a sugar overdose at her GT Studios photo experience? No – but she’s having a great time! We could see her confidence & self esteem grow as the day went on. This entry was posted in Capturing Life's Moments, dream come true, Every Moment Counts, Family, Girls, Photo Shoot, Pre-book your Session Now! 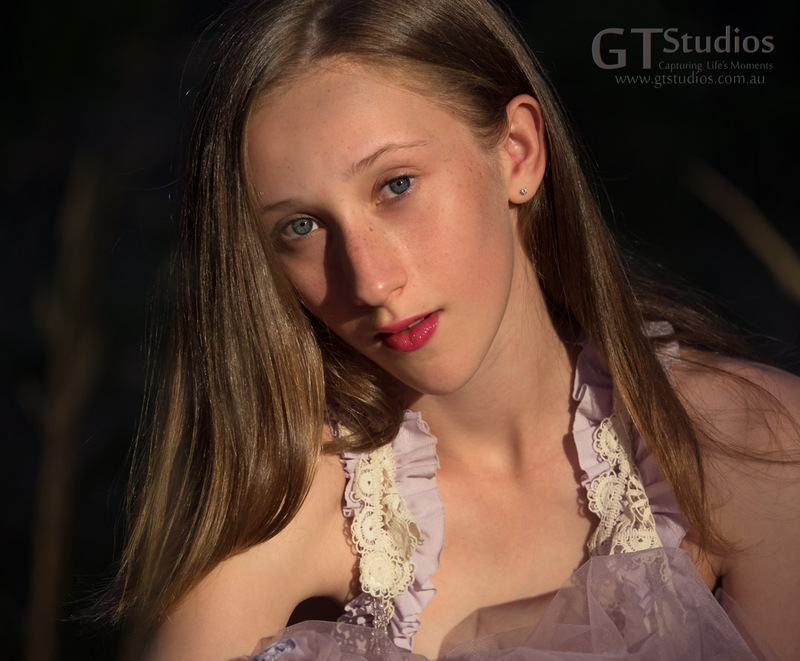 and tagged Adelaide, Beautiful, Capture Life's Moments, family, GT Studios, GTStudios, gtstudios.com.au, image, photo experience, photo session, photoshoot, portrait, precious, print, teenager on September 3, 2018 by Karen. The Face of July theme has been announced! We are looking for inspiration for Winter and you will have 2 weeks to enter! The competition for July closes on the 28th of May. The winner will be announced on Tuesday the 29th of May and the photo experience will be on Sunday the 3rd of June. 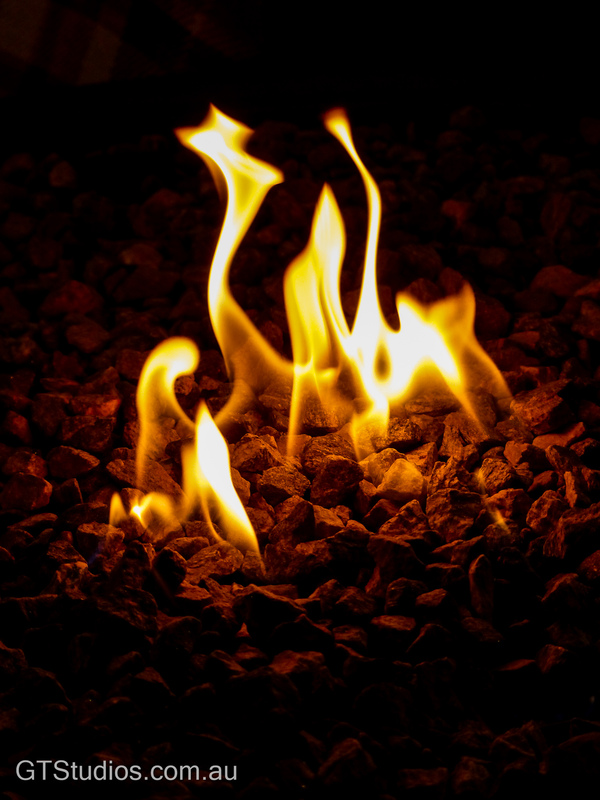 Favourite things – a warm fire, a hot chocolate…..
Email Karen@gtstudios.com.au or use the contact form here on the web page. Inside for this photo experience? Let us know why you or you and a friend should win a free Photo Experience – be creative – what do you love about Winter and would like to capture as a memory forever! 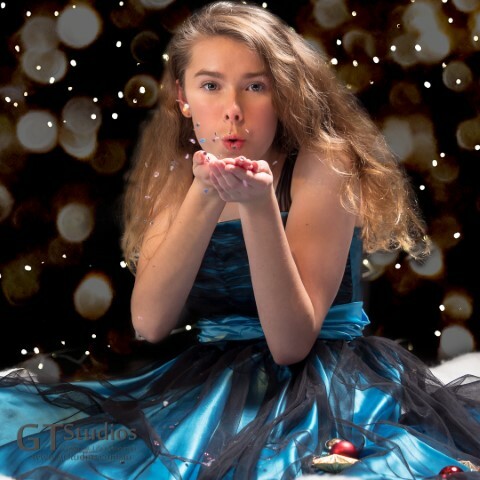 This entry was posted in Capturing Life's Moments, Competition, Face of July, Girls, Photo Shoot, Pre-book your Session Now! 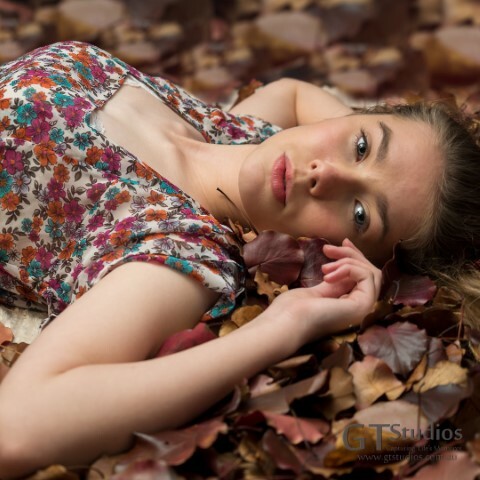 and tagged Adelaide, be in it to win it, Beautiful, Capture Life's Moments, competition, face of July, face of the month, free photo experience, girl, girls, GT Studios, GTStudios, gtstudios.com.au, photo experience, photo session, photoshoot, Winter, Winter Wonderland on May 15, 2018 by Karen. Welcome to the GT Studios March Snapshot. A chance to keep all of our wonderful GT Studios People – clients, models, collaborators, and friends up to date with the latest news and happenings. Make sure you subscribe by replying yes to this email or filling in your email address if you are reading this on our web page and then hitting the subscribe button! You will receive an email in which you must click activate to ensure you get any future editions. Once again we have had another amazing and busy month – I hope you have also! As I mentioned last month, we will be giving away a free photo experience every month for the Face of the Month Project. Make sure you follow our Instagram account for the next call and what we are looking for. 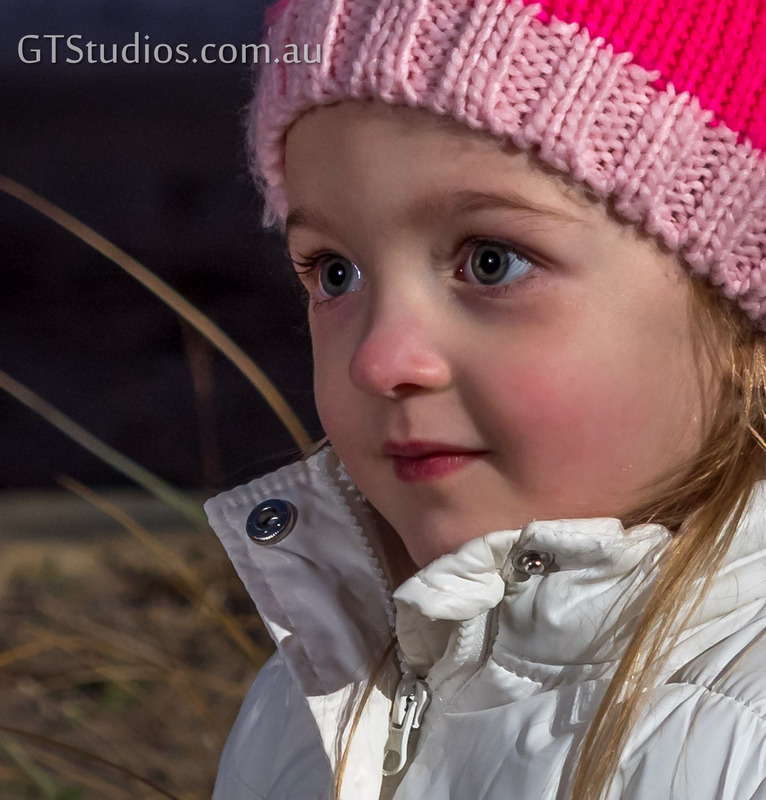 Our Face of March had been following GT Studios for a while and had made enquiries about photo experiences too. When we put out the call for this month we really only had one requirement. We wanted a ballet dancer who was on pointe! We would like to introduce you to Jordan @jordan.hissey She answered the call almost instantly and we were very happy at the end of the call to announce that Jordan had got herself that photo experience she was hoping for! 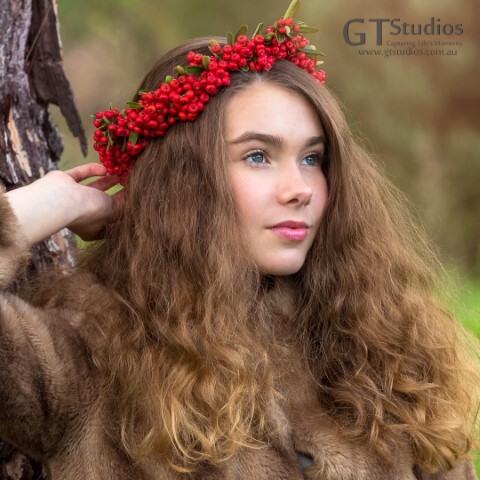 After accepting the role of Face of March Jordan admitted that she was quite nervous as she had not done any modelling – she didn’t need to be nervous – she did an amazing job and we are really happy with the images that we have. 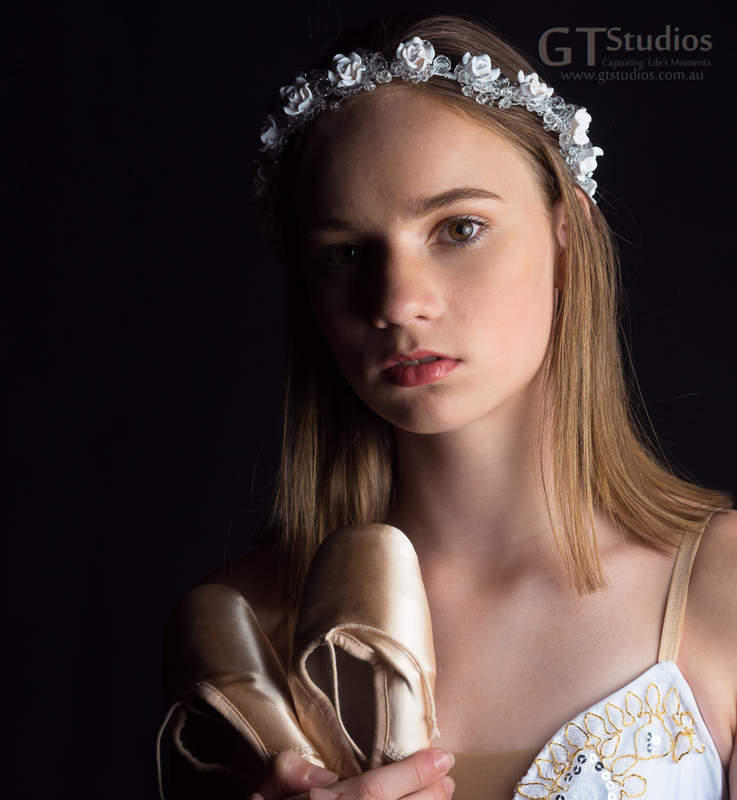 Jordan may not have had any modelling experience but she was more than qualified for our needs this month – she has been dancing since she was three and went on to pointe shoes this year! Jordan would like to look at modelling or nursing as a career in the future and I think she has qualities that would suit both of these occupations. One day Jordan hopes to travel to Italy – who knows maybe a modelling career would take her to Fashion Week in Milan – known as the Fashion capital of the world!!! We can now confirm that Graham has been published in the new Australian Kids Fashion Magazine “Madison Fashion Magazine” @madisonfashionmagazine We are very happy to say that we have been published in all three issues so far. Congratulations to Ellirah @ellirah_models, Alyssa @alyssa.jv, Teegan @mylittlestredhead and Mikayla @mikaylatuttle for being spotted and featured!!! This magazine publishes photographers and models from all over the world so we are so grateful to the team at Madison Fashion Magazine for choosing us! This year sees us embarking on several Fine Art Projects. 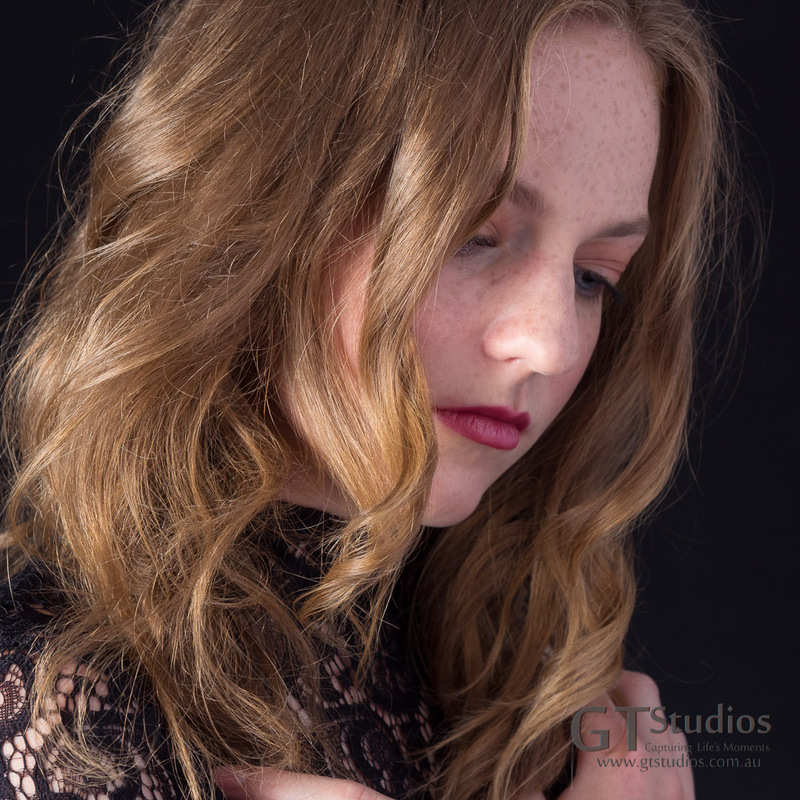 Not only has Mikayla been published in Madison Fashion Magazine this year but her modelling skills have been put to great use by taking part in two of our Fine Art Projects that we are working on. The first project is looking at the emotions of teenagers – we wanted this to be teenager driven – we ask them to provide their own choice of outfit for three set emotions and then use their expression and body language to illustrate the emotion we have asked for. This has proved to be challenging and thought provoking for all involved but also incredibly moving and powerful. 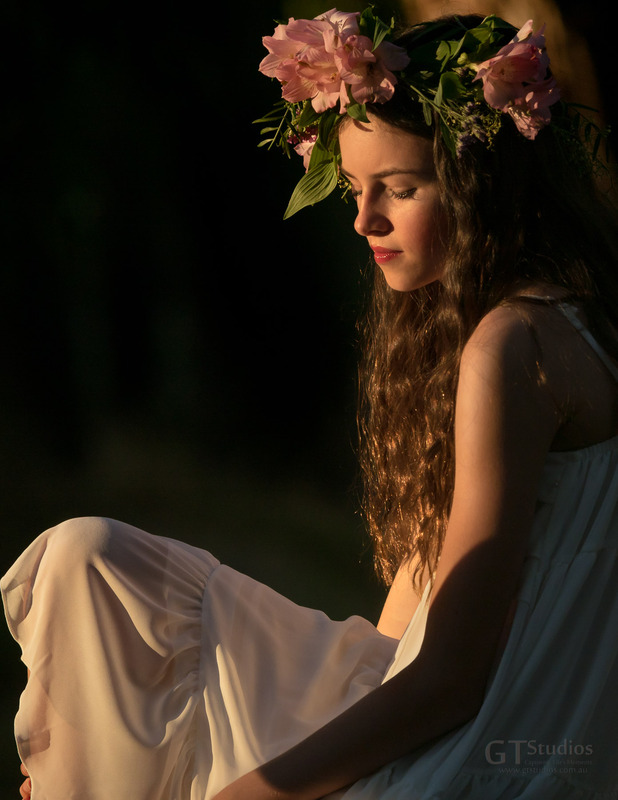 The second project that Mikayla has been involved in has been the Goddess Within – this involves lots of tulle – making a dress on set and lots of flowers! If you would like to be involved in our Fine Art Projects please contact me for details. Way back on the 15th of December last year I woke up to 499 followers on Instagram – that was a big deal for me – I mentioned it on my post that day that I was hoping I didn’t lose any followers and a young teenager DM’d me to say she had just given us our 500th follower! I was so impressed that I spoke to Graham (the other half of GT Studios) and we decided to offer her a photo experience. We are so glad that our two worlds have come together. We had an amazing day with her and her Mum – we took lots of photos and you will start to see some of them appear on our Instagram and Facebook page over the next few weeks. It was so hard to choose just a few! Unlike some of our other clients, Maddy has not done any modelling and she is not a dancer but that did not matter at all – she came with enthusiasm and passion for life – Thank you so much Maddy – for being our 500th follower and also for being the lovely person that you are! As this goes live we are now up to 804 followers – a big thank you to all of you – for you likes, comments and for your continued support! 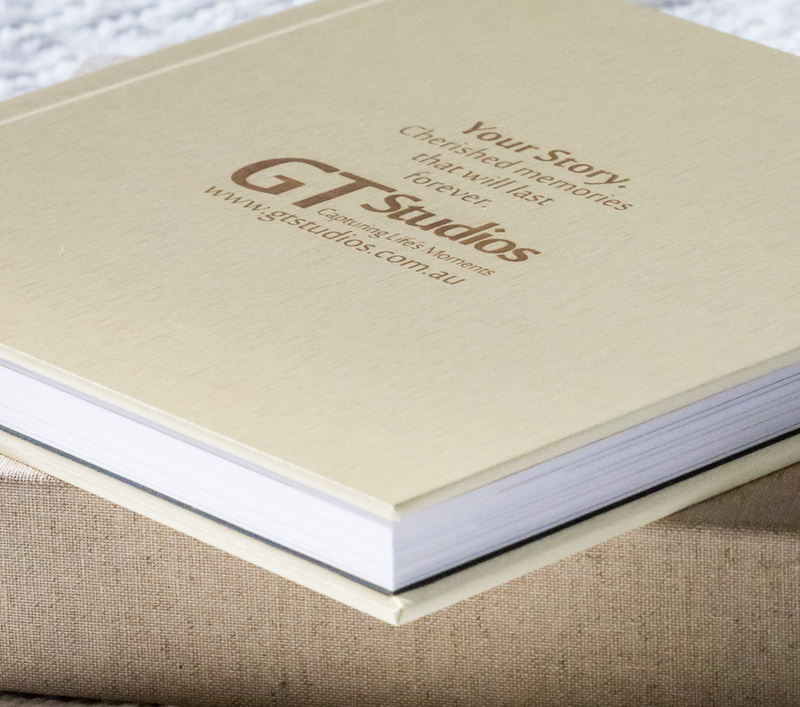 Our latest product on offer is the beautiful Matte Art Photo Album. This is an amazing product and the quality is evident as soon as you open the lid of the linen covered box. You can choose to have your own words engraved on the front cover or we can make some suggestions for you. The cover of the album comes in a range of finishes – our sample album is cream chic metallic pearl, for an additional cost you can choose to have a leather finish. One of the many Album options. The name of the album is a huge hint as to what the pages will look like – your photo experience will be printed on high quality matte art paper – with a gorgeous matte finish. 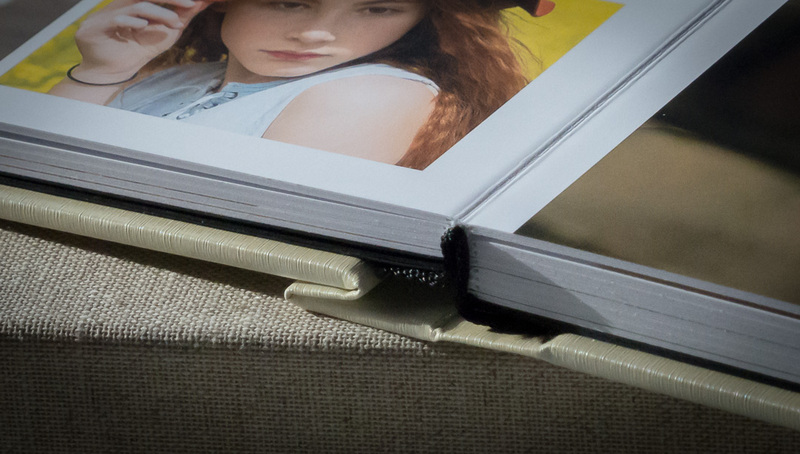 We chose to have a thicker than standard page thickness for our sample album and it makes it feel even more luxurious! The album will be hand made in our Pro printers lab here in Adelaide – where they will pay attention to every detail. We will help you with the layout of every page and you can add additional pages if you wish. We are so happy with this new product we feel sure you will also love it – make sure to ask us for a look at our sample album next time we see you. Workshops – coming soon – tell us what you want! New Experiences on offer – Birthday, Diva, A little often. This entry was posted in 500th Instagram Follower, Autumn, Ballerina, Capturing Life's Moments, Dance, Face of March, Face of the Month, Fine Art Projects, National Publications, New products, Newsletter, Photo Shoot, Product Review and tagged 500th follower, Adelaide, Beautiful, Capture Life's Moments, emotions, face of March, face of the month, featured, fine art project, floral crown, girls, goddess within, GT Studios, GTStudios, gtstudios.com.au, image, instagram, model, national publications, natural light, photo experience, photo session, photoshoot, printed, teenager on March 18, 2018 by Karen. With a brief appearance of Spring I thought it was a great time to showcase some of the beautiful new items in the GT Studios wardrobe. Today’s selection is from the “Flowers and Lace” collection. 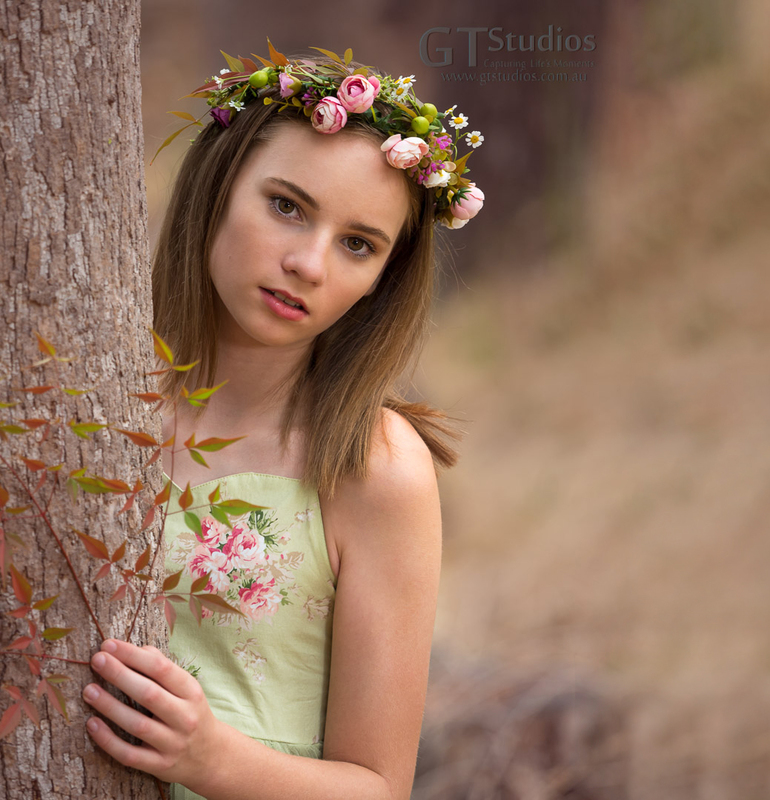 With neutral cream tones and a hint of Spring Shades as highlights, these dresses, hats and floral crowns are perfect for the Spring Photo Experience sessions that we still have available. 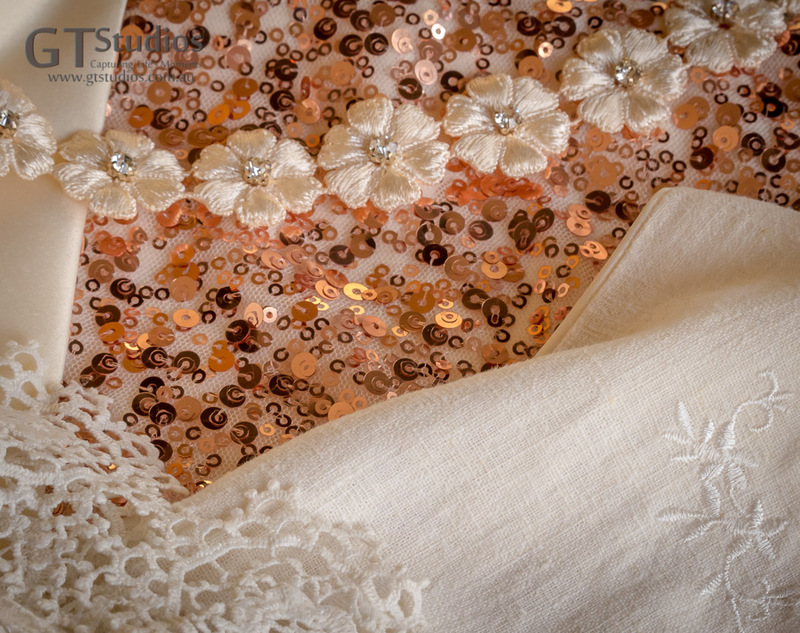 Flowers and Lace – Spring Collection. 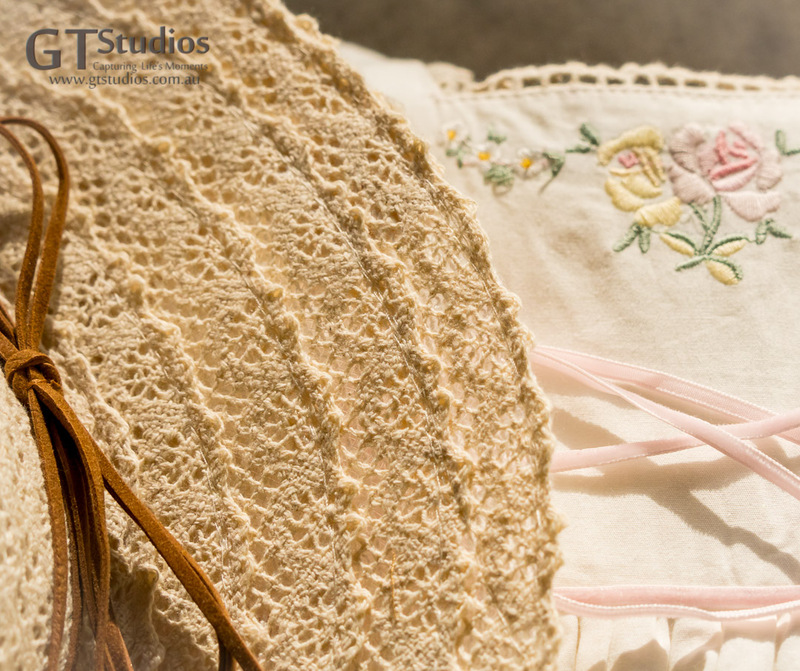 Neutral tones of cream with delicate embroidery in shades of Spring. Both plain cream and floral dresses are available in an assortment of sizes. Some with fine embroidery or sequins others with tulle or organza. All with some sweet little feature to make them special. 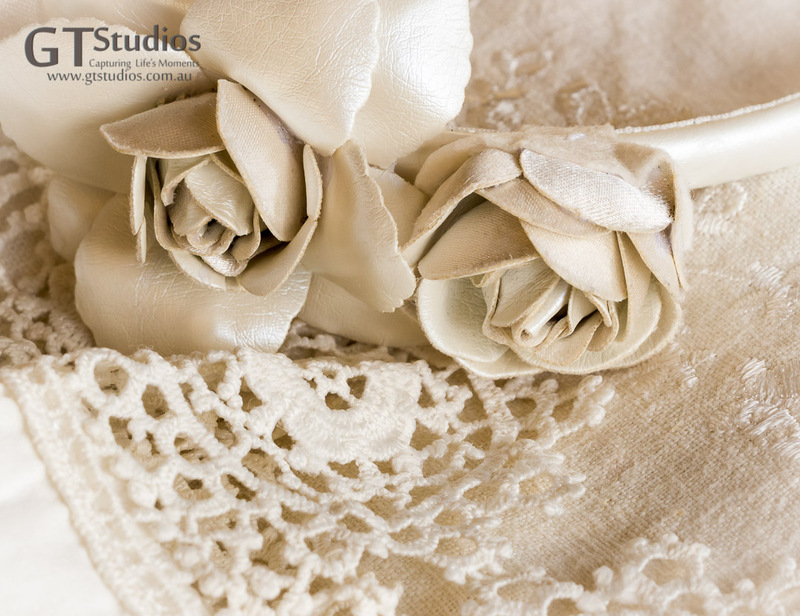 Flowers and Lace – Spring Collection. 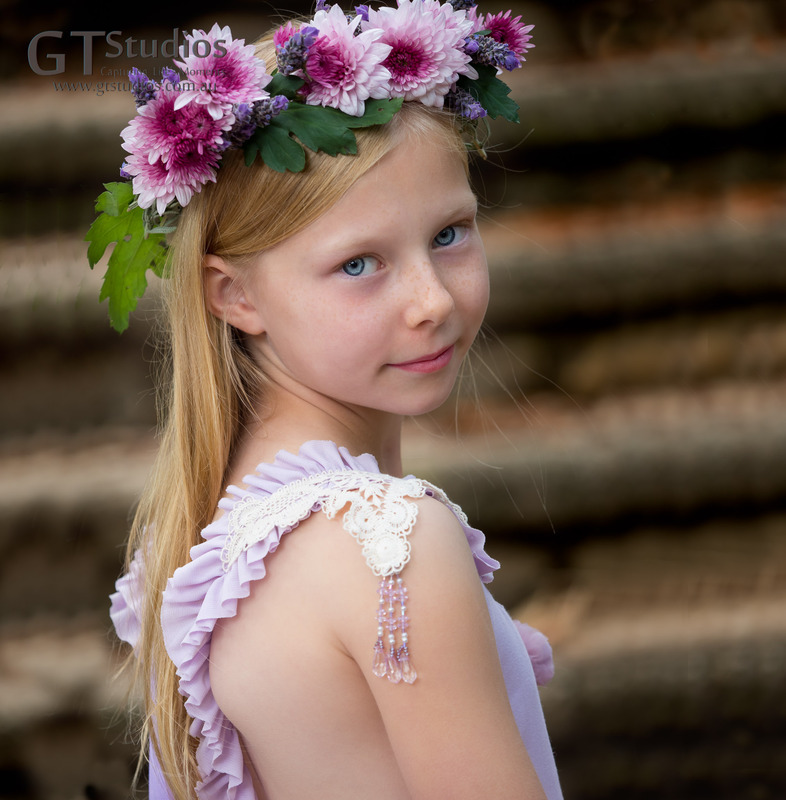 Delightful Spring Floral Crowns that perfectly match the tulle covered dress. 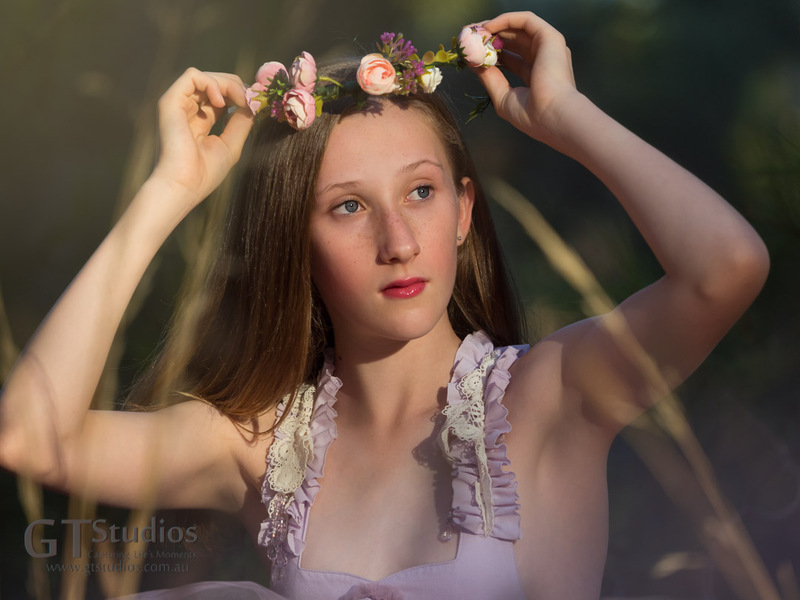 We have several floral crowns, head bands, hats and other accessories available that are a perfect match for these dresses this season and I am really looking forward to seeing them in the upcoming Spring Photo Experiences. Flowers and Lace – Spring Collection. Sequins and sparkles for that special occasion. 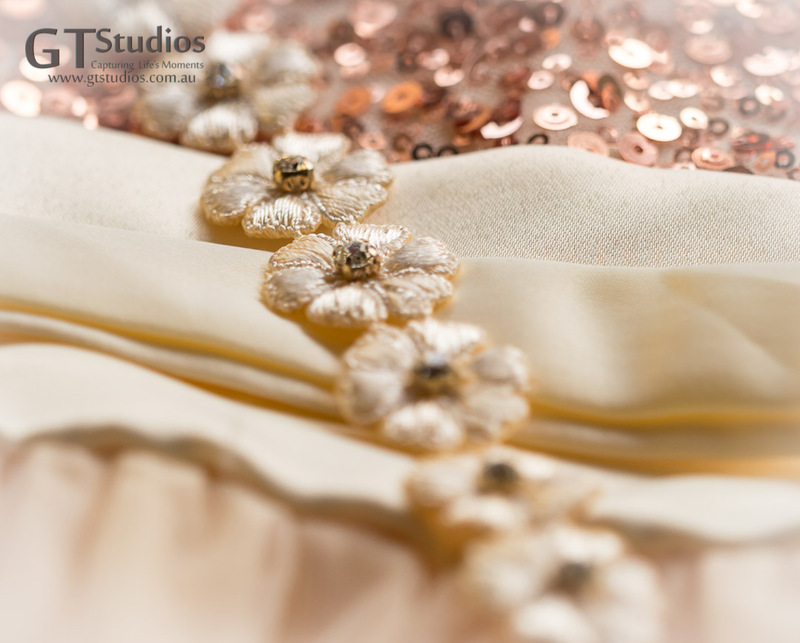 While the floral dresses and accessories are perfect for an outdoor photo experience the more formal dresses often lend themselves more to a studio session although the sequins do look amazing when they catch a bit of sunshine! Flowers and Lace – Spring Collection. Sunflowers and Daisies make the perfect floral crown. 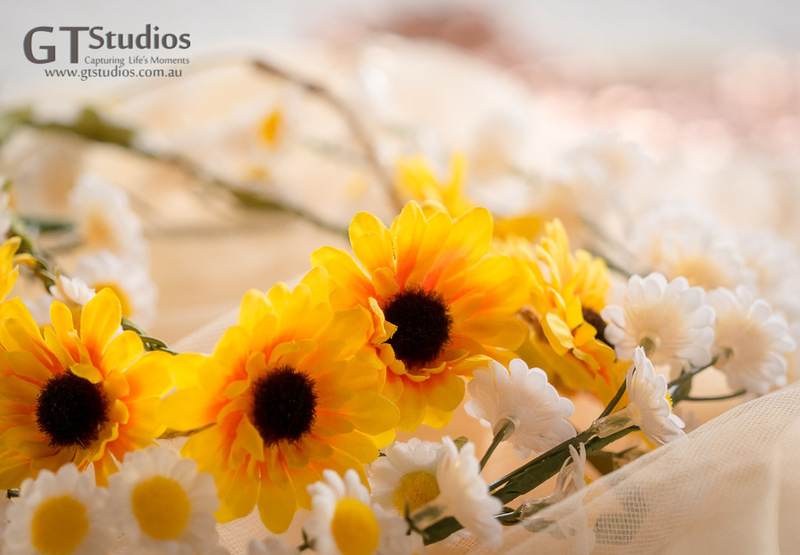 There is an option to have a floral crown hand crafted with love for your unique photo experience if you would prefer to have fresh flowers or you can choose from the ready made collection. Flowers and Lace – Spring Collection. We have many hats to compliment our dresses. Hats and headbands are just as popular as floral crowns. Flowers and Lace – Spring Collection. 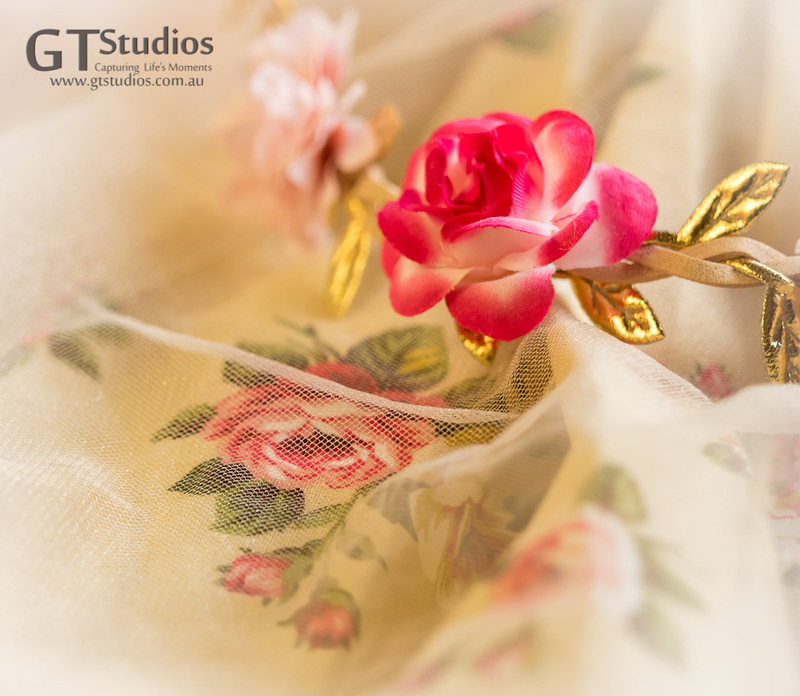 These exquisite roses are a beautiful head band and are a perfect match with several of this seasons dresses. 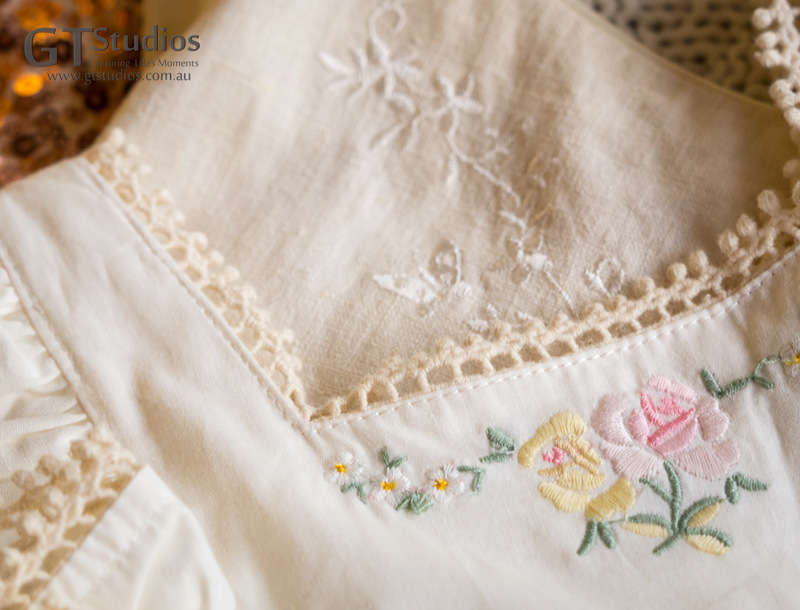 Flowers and Lace – Spring Collection. Just add some sequins and you are set for any occasion. 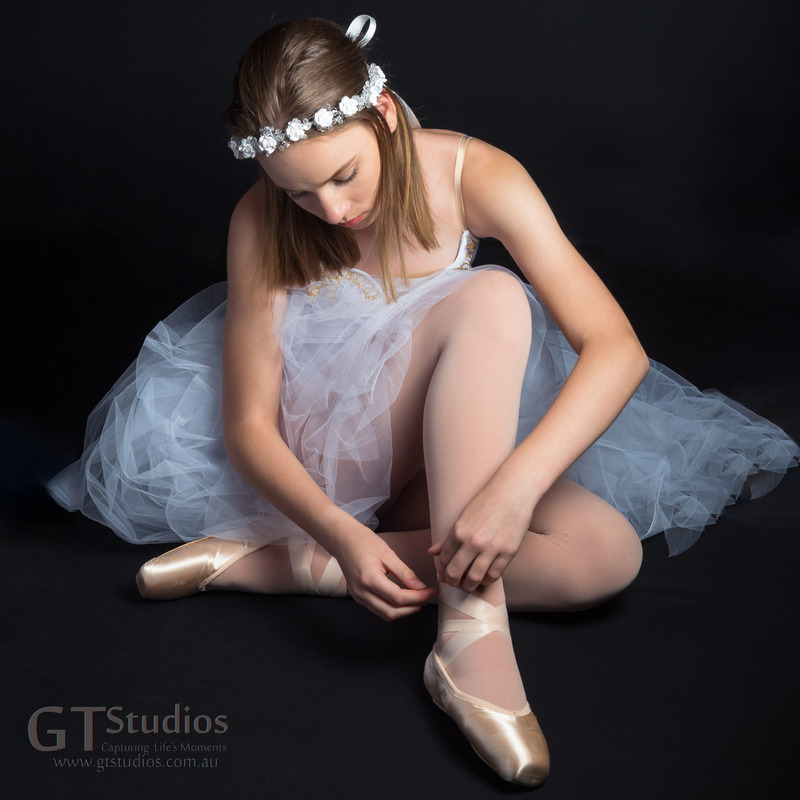 This entry was posted in Capturing Life's Moments, Colour, consultation, Dress, Floral Crown, Flowers, Flowers and Lace, Formal, Girls, Spring Photo Experience and tagged Adelaide, Beautiful, Capture Life's Moments, colour, dresses, family, floral crown, flower, flowers, flowers and lace, formal, girl, girls, GT Studios, GTStudios, gtstudios.com.au, photo experience, photo session, photo shoot, spring photo experience on September 11, 2017 by Karen. Miss E was pretty excited! 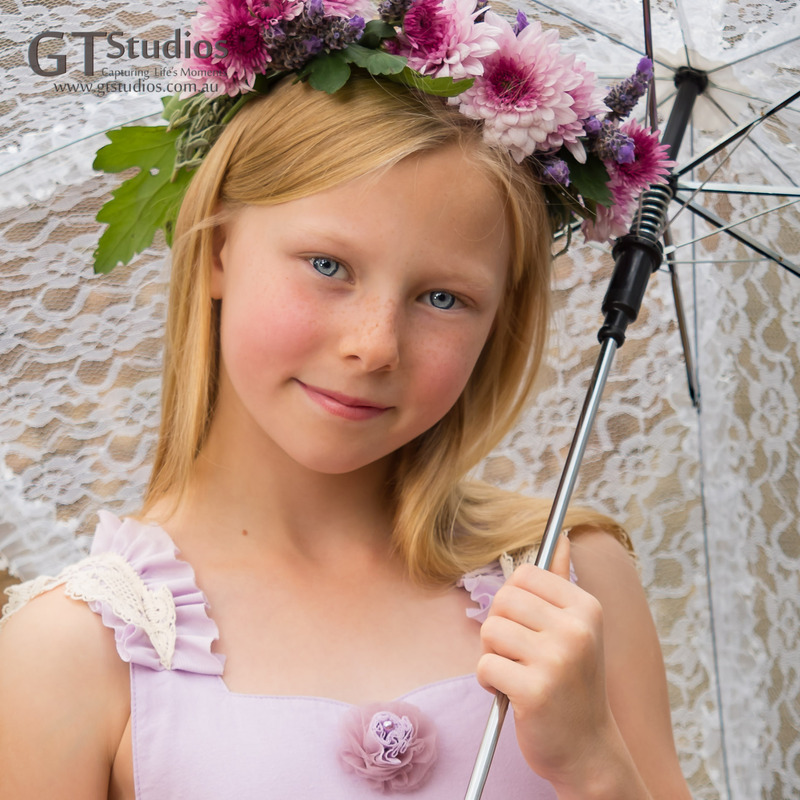 She was booked in for a Princess Photo Experience – she would get to wear a Princess dress, have a floral crown and use a lace parasol as a prop too. She packed some of her own pretty dresses, hair clips and shoes and then hopped in to the car with her Mum and big brother and they made their way to the photo session location. The location was one of our favourite parks in the Eastern Suburbs of Adelaide. It is green and leafy and the perfect spot for the images we had planned for that day. We set up our portable change room and Miss E was soon looking amazing. The photo experience began, a little shy at first but Graham soon made her feel comfortable and relaxed. Her brother joined in with some of the photos in this session too and before long everyone was having a great time. Unfortunately, due to excitement, Miss E did not eat much breakfast. Suddenly a cry from big brother and our Princess was fainting. That was an experience no one was expecting – however we always come prepared with nibbles and lots of water – and after some re-hydration and a snack our beautiful Princess was back on her feet again giving us the best images! This amazing brother and sister duo went on to have a half day photo experience with some wonderful images that I will share in future blogs. 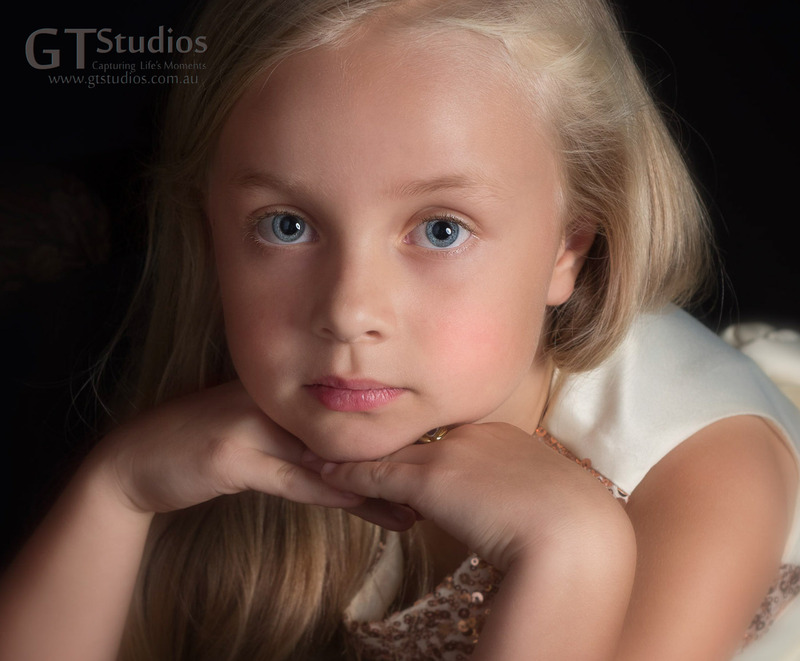 If you would like more information about how GT Studios could help you plan a Photo Experience for your little Princess please give me a call – I would love to chat to you about all the options. This entry was posted in Autumn, Dress, Floral Crown, Flowers, parasol, Princess For A Day, Princess Photo Experience and tagged boy, brother, Capture Life's Moments, Eastern Suburbs, excited, fainting, floral crown, flower, flowers, girl, green, GT Studios, GTStudios, gtstudios.com.au, natural light, nibbles, outdoor, parasol, park, photo experience, photo session, portable change-room, Princess, princess for a day, princess photo experience, re-hydration, siblings, sister on July 17, 2017 by Karen. 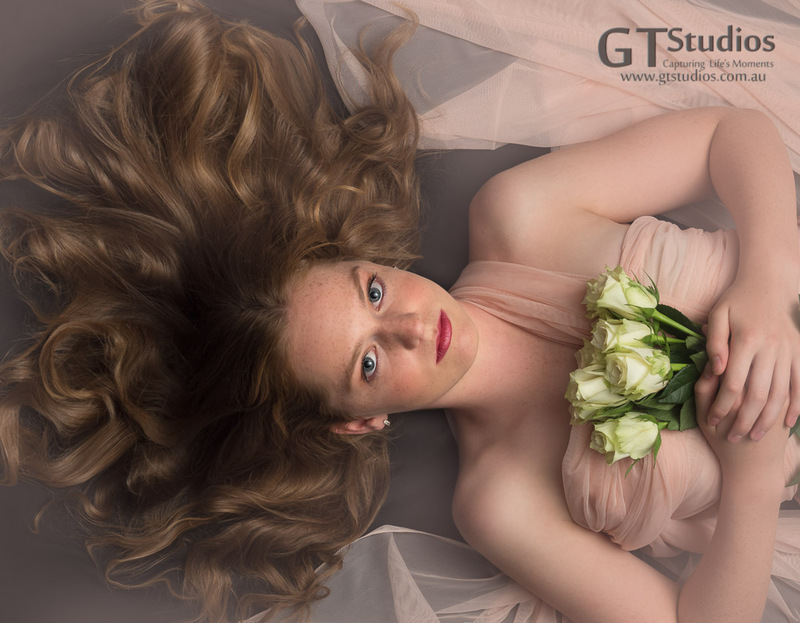 At GT Studios we love getting to know you before your photo experience. The best way to plan a photo experience is by meeting with us and telling us about your dreams for the photo you have in mind. 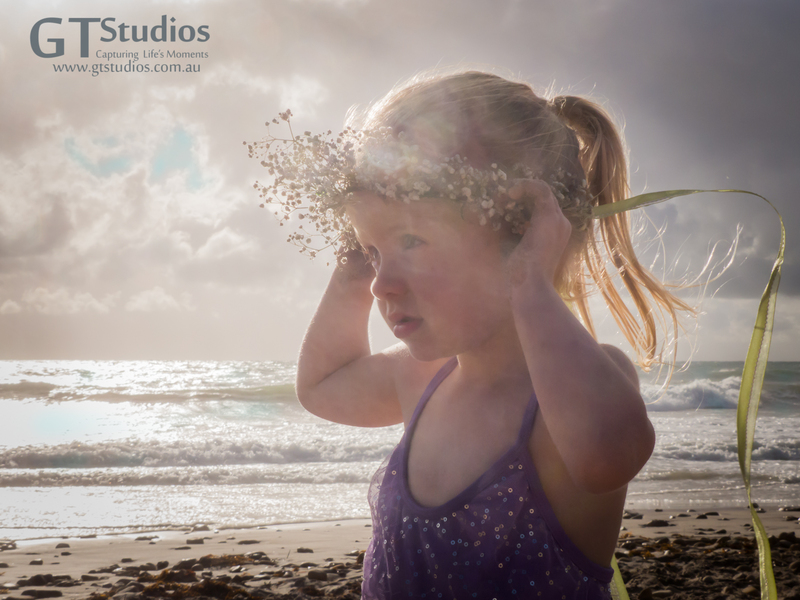 We offer both indoor studio experiences and outdoor natural light experiences and we discuss all the options when we are helping our clients create their perfect photo experience. Sometimes all you want is a beautiful simple portrait for your wall. Sometimes you want to create an amazing themed experience with fancy dresses, floral crowns and props. Your imagination is the only thing that holds you back! We would love to offer you a chance to experience this. No matter how simple or grand, together, we can create beautiful art for your wall. Picnic in the Sunflowers – an example of a photo experience with the lot! Props, floral crowns, secret location!!! Call Karen or Graham today to schedule your planning consultation. This entry was posted in Art, Capturing Life's Moments, consultation, Dress, Every Moment Counts, Floral Crown, Girls, Memories, Natural light, Planning Your Photo Experience, Portrait and tagged Adelaide, Beautiful, Capture Life's Moments, floral crown, flower, flowers, girl, girls, GT Studios, GTStudios, gtstudios.com.au, natural light, outdoor, photo experience, photo session, planning your photo experience, portrait, precious on May 6, 2017 by Karen. I thought I would show a few behind the scenes images today. Graham is our primary photographer at GT Studios and I am there as back up/second photographer and assistant. That means that all the amazing high quality images of people have come from Graham and the candid on the spot images are sometimes mine! At our recent beach photo experience I was able to catch a few of those moments. Not images that we would sell to our clients but images that do usually capture the moment! 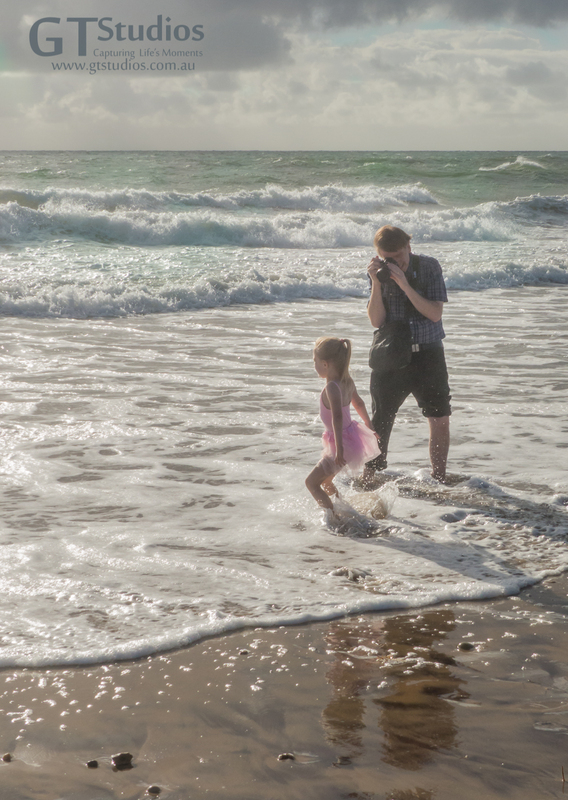 I think the images I caught on this day did show the commitment of both Graham and our little ballerinas. It was windy and the waves were quite unpredictable with a rough sea. I can tell you now that all three ended up very wet that day. Talk to Karen or Graham today if you would like more information about creating a unique photo experience. Book a free pre-session consultation and start making your dream a reality. This entry was posted in Behind The Scenes, Capturing Life's Moments, Every Moment Counts, Girls, Natural light and tagged Adelaide, beach, behind the scenes, candid, Capture Life's Moments, girls, GT Studios, GTStudios, gtstudios.com.au, model, natural light, outdoor, photo experience, photo session, sisters, waves, wet, windy on April 9, 2017 by Karen.